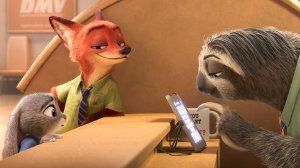 Also known as Zootopia, this film is set in the modern mammal metropolis of Zootopia, which is a city like no other. Comprised of habitat neighborhoods like ritzy Sahara Square and frigid Tundratown, it's a melting pot where animals from every environment live together. 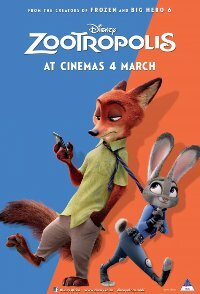 But when an optimistic police officer arrives, she discovers that being the first bunny on a police force of big, tough animals isn't so easy. Determined to prove herself, she jumps at the opportunity to crack a case, even if it means partnering with a fast-talking, scam-artist fox, to solve the mystery. This film is releasing in 2D and 3D, this is the 3D version. Action, Adventure, Animals, Animated, Comedy, Family.